Congratulations Think and Learn Pvt. Ltd. (BYJUS) Placed!!! 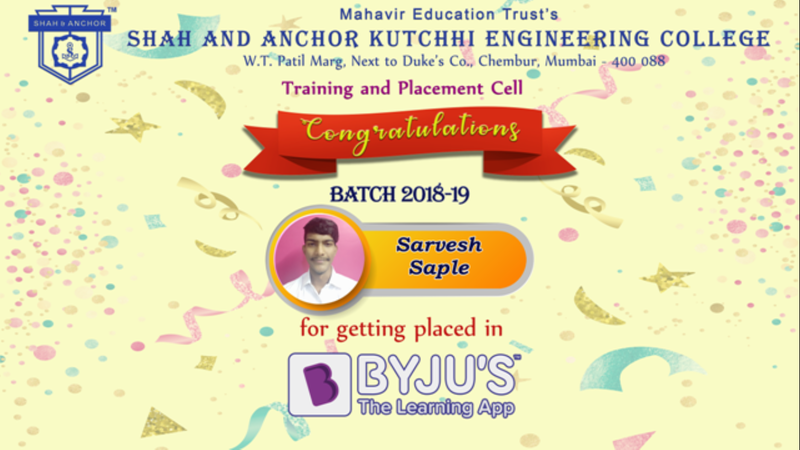 With pride and Honour SAKEC Training and Placement Department congratulates our student for getting placed in Think and Learn Pvt. Ltd. (BYJUS) during the Campus Recruitment Program 2018 -2019.